The Association would like to thank each of you for your continued support of our efforts to promote the “Mutual Philosophy” among our member policyholders. The business environment continues to evolve as personal and business needs change. Businesses continue to use technology to maximize productivity. Our economy remains a priority while markets become more global in nature. The effects of the investment markets force us to concentrate on operations and underwriting to maintain profitability. Regulation and legislation will dictate changes in business practices. The demographics of a changing consumer base will challenge our resources. The foundation of insurance is the assumption of risk. Underwriting practices that consider risk and loss frequency will yield savings and profitability for the Association. Those that assume more risk should be rewarded with premium savings. Those who assume less risk should expect to experience a higher cost exposure. 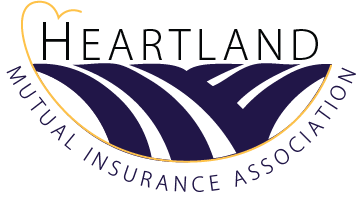 The Board of Directors has recognized this fiscal responsibility and continues to identify priorities for the future with an emphasis on stability, profitability, and policyholder benefit. The Association has designed, combined and expanded coverage to provide products to meet the changing needs of the membership. Examination of the rating structure is an annual event with problem areas identified and addressed. Our commitment to you is to provide cost effective products and services. The Association, the Board of Directors, Staff, and Management are honored to serve you. We thank you for your support and cooperation and wish you a safe and prosperous year.